The bar has been completely refurbished to a very high standard, with the emphasis on comfortable surroundings, a well stocked bar and excellent service. The bar promises a relaxed atmosphere. Freshly made bar snacks will be available together with the best coffee. Our opening hours will be from mid afternoon to midnight. A full schedule of events are planned from theme evenings to wine tastings. A warm welcome awaits you. Kennen Sie schon Engel Parking beim Airport Elche/Alicante? Ihr Parking Engel mit vielen Leistungen zum guten Preis! 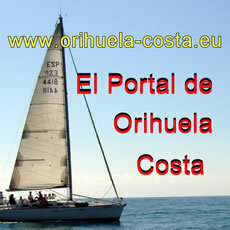 Indoor und Outdoor in Alicante, Hol-und Bringservice Ihres Fahrzeuges gratis. Every morning at FRESCO we buy the best ingredients available to offer every customer their favourite international dishes prepared the traditional way. Top quality FRESH ingredients, direct from the fruit and vegetables7 market and local producers, to ensure a natural, unadulterated taste. We cook them everyday following authentic recipes, with the aim of capturing that freshly made food feeling. At FRESCO, we know what you like best, and we strive to put it on your table with an authentic flavour. We are estate agents in Alicante, Costa Blanca, but we have a great selection of properties for sale along the Costa Cálida too. Golf Sun Spanish Properties is a successful family run real estate agency founded in 1999. Our professional team has a wealth of experience and we pride ourselves in being honest and trustworthy, creating a friendly no pressure environment for our clients. All members of our team have lived on the Costa Blanca for more than 15 years so are very passionate about the area and knowledgeable on all aspects of living here. In OLE we offer national and international flat rates for you to make your calls 24 hours a day to landline numbers, paying the same price at the end of the month. Forget about watching the clock while enjoying good conversation. Check our rates and combine them as you like to suit your needs. An der Costa Blanca seit 1995. Wir bieten Ihnen eine hochwertige Dienstleistung zu wettbewerbsfähigen Preisen. 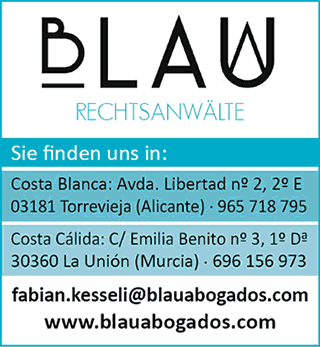 Sie finden uns neben dem De Bassus und dem Notar in La Zenia. Siesta Energy - is a company that comes with the recent electricity liberalization in Spain. Previously only a few large companies could offer these services so they had almost no competition. The European directives have forced governments of Spain that there is competition in this sector. The competition benefits the citizens because it allows companies like ours can offer better rates and work more transparency with customers.